Do Androids Dream of Sheep. Read to Me Storytime! Bookmans Entertainment Exchange Flagstaff 1520 S Riordan Ranch St.
26apr9:30 am10:00 amRead to Me Storytime!9:30 am - 10:00 am Bookmans Entertainment Exchange Flagstaff, 1520 S Riordan Ranch St.
Join us every Friday for Read to Me Storytime and fun with learning and letters. These are literacy-based storytimes intended to help get your child ready for reading. Read to Me Storytime is complete with songs, games, activities and of course BOOKS! Join us for Storytime every Friday at the Kids’ Corner! Read to Me Storytime is intended for children ages 1-3 years old. Of course, all are welcome to any of our storytimes, but please note that each storytime is carefully constructed for the purpose of getting young children ready for reading. 1520 S Riordan Ranch St. Studio Night: Celebrate the Earth Bookmans Entertainment Exchange East 6230 E. Speedway Blvd. 26apr6:00 pm8:00 pmStudio Night: Celebrate the Earth6:00 pm - 8:00 pm Bookmans Entertainment Exchange East, 6230 E. Speedway Blvd. Calling all artists! Join us on April 26th and celebrate the Earth! We will be painting on Terracotta pots! Enjoy our 100% free art class lead by a professional artist. Kids Movie & Craft Night: FernGully Bookmans Entertainment Exchange Midtown 3330 E. Speedway Blvd. 26apr6:00 pm8:00 pmKids Movie & Craft Night: FernGully6:00 pm - 8:00 pm Bookmans Entertainment Exchange Midtown, 3330 E. Speedway Blvd. Join us every fourth Friday at Bookmans Midtown at 6 PM for movie and craft night for the whole family! This month we’ll be watching the 1992 animated musical fantasy film FernGully: The Last Rainforest, set in an Australian inhabited by fairies, like Crysta, who accidentally shrinks logger Zak. Together they must rally the animals and fairies of the rainforest to protect it from the malevolent pollution entity, Hexxus. Themed craft TBD. All supplies provided by Bookmans Midtown. Limited space available. Email midtownevents@bookmans.com to RSVP! Independent Bookstore Day (IBD) is a one-day national party that takes place at indie bookstores across the country on the last Saturday in April. Just like Bookmans, every store is unique and independent, and every party is different. And as you know, Bookmans is more than a book store, we are a celebration of all things community! To celebrate we’ve put together a day of book-loving events and giveaways for you! Not only that, but you will be able to shop for Exclusive IBD merchandise. Keep an eye out on our Instagram and Twitter pages for sneak peeks of what we’ll have for sale! Why should kids have all the fun? We invite our VIB’s (book lovers, bibliophiles, or bibliomaniac) to get a unique behind-the-scenes look at Bookmans Mesa. Your morning will start off with delectable treats and beverages as The Traveling Cup will be in the house. Armed with our java, we will take you on the same tour we treat our schools too! Get an inside look at our back room where your book-loving mind will be blown, as well as the opportunity to ask questions about how we run things at Bookmans Mesa. After your tour concludes we invite you to shop the shelves with an exclusive discount normally only offered to our staff. *To participate in the VIB tour, you must enter for a spot here Not all who enter will win as space is limited. What better goes with books than coffee? We agreed and only wanted the best in town to celebrate this day with us. Local Az owned The Traveling Cup cafe will be parked in front of the store today from 8:30 A.M. until 3 P.M. Grab some of your delicious java favorites. If you’re like us, you need a fresh bagel or muffin to go with that coffee, and The Traveling Cup has you covered!. You can find their complete menu choices here. “The more that you read, the more things you will know. The more that you learn, the more places you’ll go.” The spark that ignited many a book loving flame comes along when we are very young in the form of an imaginary rhyming world where lessons are plentiful and anything is possible. This is in the magical books of Dr. Seuss! The perfect way to share our infatuation with books is to honor this special children’s author. Join Toni for an hour of stories, crafts, games and more. Costumes encouraged but not required. Join us on the magic carpet as we travel to far away places in this magical hour of stories, music and fun. It doesn’t take a genie to become enchanted with the tale of Aladdin and his magical lamp. Aladdin and Jasmine (Enchanted Entertainment) will be here today to read and sing for you.. Bring your camera as you will want to capture this entertaining opportunity. Are you brave enough to rub the lamp? Free Face painting as well as balloon animals will be available in limited amounts. Curious about the local sound? Want to hear something new? Now is your chance! Hang out tonight and curl up with your favorite newfound book. The Sonoran Surfers has a great chill sound and a new local favorite. The Sonoran Surfers are an instrumental band from Arizona featuring Simon Wong on Guitar, Todd Hoover on Bass, and Russ Hill on drums. Check them out today. Everyone has their own independent taste and style when it comes to reading. Why wouldn’t you want the same in a proper marker? Join us tonight as we continue our day long celebration where the designer is YOU! Create a OOAK bookmark for yourself, a loved one, or make one to be added to a book given away in our little libraries program. All materials needed are supplied. All ages are welcome. Supplies are limited so arrive early to guarantee a seat. No registration is required but bring your creativity. Let’s get Lit… Marking. Our Bookmans boxes are hugely popular! We’ll be raffling off several boxes created by Bookmans employees featuring books, movies, toys, etc. that are found at Bookmans. Oh yeah, and there is a $50 gift card! Independent Bookstore Day Bookmans Entertainment Exchange Northwest 3733 W. Ina Rd. 27aprAll DayIndependent Bookstore Day(All Day: saturday) Bookmans Entertainment Exchange Northwest, 3733 W. Ina Rd. Bookmans Northwest is celebrating Independent Bookstore Day (IBD) with a storewide sale and a full day of free events, prizes, special merchandise, and more! IBD is a one-day national party that takes place at indie bookstores across the country on the last Saturday in April. Just like Bookmans, every store is unique and independent, and every party is different. And as you know, Bookmans is more than a bookstore, we are a celebration of all things community! Keep an eye out on our Instagram and Twitter pages for sneak peeks of what we’ll have for sale! Get an inside view of your favorite indie bookstore with our VIB (Very Important Book Lover) event. We invite our VIB’s to get a unique behind-the-scenes look at Bookmans Northwest. Your morning will start off with delectable treats and beverages. After the refreshments, we will take you on a behind the scenes tour of Bookmans Northwest. Get an inside look at our back room where your book-loving mind will be blown, as well as the opportunity to ask questions about how we run things at Bookmans Northwest. After your tour concludes we invite you to shop the shelves with an exclusive discount normally only offered to our staff. *To participate in the VIB tour, you must enter for a spot here. Not all who enter will win as space is limited. Plus we’ll have Book Lover Appreciation prizes like 1st 100 transactions get a tote bag with purchase and enter to win a Best of Bookmans Northwest Box. Enjoy a visit from Pet Partners! You can read to a furry friend from 11am-3pm. Plus you can learn more about Pet Partners and the importance of therapy animals. It’s Game Time in the afternoon from 2pm-4pm, bring your own game or pick one off the shelf to play. We’ll also have a classic video game system setup and you can pick games from our case! Plus help us put together a community puzzle and get your face painted by Bookmans fave Silly Tassie! Celebrate 40+ years of local independent bookish business with Bookmans Northwest. Independent Bookstore Day Bonanza Bookmans Entertainment Exchange Midtown 3330 E. Speedway Blvd. 27aprAll DayIndependent Bookstore Day Bonanza(All Day: saturday) Bookmans Entertainment Exchange Midtown, 3330 E. Speedway Blvd. Bookmans Midtown is celebrating Independent Bookstore Day with a storewide sale and a full day of free events, prizes, special merchandise, and more! Get an inside view of your favorite indie bookstore with our VIB (Very Important Book Lover) event. We’ll give you a tour of our basement and snack on some delicious treats and beverages. Plus, you’ll be privy to our exclusive Independent Bookstore Day merch, receive a discount exclusive to Bookmans employees, and hang out with other book nerds. *To participate in the VIB tour, you must enter for a spot here. Not all who enter will win as space is limited. Starting at 1 PM Circuitous Vibes will be in the building creating amazing ambient music rich in tape looping, reverberation, arpeggiating, droning and phasing. This music conjures up a variety of textures and atmospheres, taking the listener on slowly moving and wandering journeys and is perfect for a day in your favorite independent book store! Enjoy poetry? From 12 PM to 3 PM we’ll be showcasing local poets as a part of The Bookmans Poets Society Social with a keynote reading by Kenneth Randle Landers who will be reading from his book The Arizona Son and his newest release Black Honey (out April 12). Landers will also have copies of The Arizona Son available to signing and purchase. 6 PM to 8 PM Board Game Night with Isle of Games will round off the night. Learn any of the dozens of games provided by Isle of Games, bring your favorite game to teach somebody else, or borrow from our extensive collection. Independent Bookstore Day (IBD) is a one-day national party that takes place at indie bookstores across the country on the last Saturday in April. Just like Bookmans, every store is unique and independent, and every party is different. And as you know, Bookmans is more than a book store, we are a celebration of all things community! To celebrate we’ve put together a day of book-loving events and giveaways for you! Not only that, but you will be able to shop for Exclusive IBD merchandise. Keep an eye out on our Instagram page for sneak peeks of what we’ll have for sale! Why should kids have all the fun? We invite our VIB’s (book lovers, bibliophiles, or bibliomaniac) to get a unique behind-the-scenes look at Bookmans Phoenix. Your morning will start off with delectable treats and beverages, hosted by your tour guide, Kelly. Then we will take you on the same tour we treat our schools too! Get a look at our back room where your book-loving mind will be blown, as well as the opportunity to ask questions about how we run things at Bookmans Phoenix. After your tour concludes we invite you to shop the shelves with an exclusive discount normally only offered to our staff. *To participate in the VIB tour, you must enter for a spot here > buff.ly/2Ph3AoD. Not all who enter will win as space is limited. We’re not JUST a bookstore! On the last Saturday of every month, we host a free workshop so that anyone can easily pick up a Ukulele and learn a song at the end of the hour! For funsies! Design your own Bookmans button to show off your love of, well anything! Once you’ve finished your design, we’ll press the 1.5″ button for you to keep as a one-of-a-kind souvenir. Phoebe Fox is the author of 4 books for young children, including the award-winning bi-lingual book “Babies Nurse/Asì se alimentan los bebès.” Her book “Up Up Up” won the First Edition Project Children’s Book Contest in 2015. She has a BA in Early Childhood Development from Barrett Honors College and an MA in Curriculum and Instruction from ASU. Before becoming a children’s author, she was a first-grade teacher and an elementary school librarian. Fox is a member of the Authors Guild, the Society of Children’s Book Writer’s and Illustrators, 12X12, and the Arizona Library Association. She lives in Phoenix, Arizona with her husband and their three sons. Receive face painting of your favorite beloved children’s book characters! Hoot ‘n’ Waddle is two things. We are the hub for a local podcast network to help promote and grow arts and culture programming in Phoenix, AZ. We are also a small literary press that specializes in collections of poetry, short fiction, and creative non-fiction. We are bringing poets, David Chorlton, and Jack Evans to Bookmans for the first time! Perhaps the greatest hallmark of David Chorlton’s poetry is that it stays with you, the imagery rolling around in your mind, long after the final line is read—until his words are so deeply embedded in your subconscious that it is as if they’ve always been there. Reading T. S. Eliot to a Bird is yet another standout, a stellar collection of poems from a poet whose published work is already filled with collections deserving of such praise. David Chorlton came to Phoenix from Europe in 1978 with his wife Roberta, an Arizona native. He quickly became comfortable with the climate while adjusting to the New World’s politics took longer. Writing and reading poetry have helped in that respect, as has exposure to the American small presses. Thirty years ago he regarded the idea of “nature poetry” as one tainted with sentimentality, but Arizona’s landscapes and wildlife have become increasingly important to him both as a source of pleasure and a measure of how precarious the natural world is. In this long overdue collection of poems, Jack Evans achieves what few can: a black and white world, Bogie and Bacall, John Coltrane, Tarkovsky—without a single frame of film projected or note played. Rain is the Hourglass of Memory serves a reader, an introduction, a companion to the work of a great and criminally underappreciated poet. Jack Evans was born on the banks of the Hudson during twilight years of the reign of Roosevelt II. He moved to a little house overlooking the Aqua Fria when Lesley King ruled the land. He loves music of all types, and film from many places. He believes in baseball and books. He writes poetry, he reads poetry, he thinks poetry, and he shares poetry. His work has appeared in numerous publications, and he has performed in venues all over Arizona and from coast to coast since the 1970s. He has also directed a number of spoken word series over the past 30 years and is currently co-director of the Caffeine Corridor series in downtown Phoenix. He lives in that city with his wife Judy, his dog, his cat, four parakeets, and a laptop. Independent Book Store Day Bookmans Entertainment Exchange Flagstaff 1520 S Riordan Ranch St.
27apr8:30 am10:00 pmIndependent Book Store Day8:30 am - 10:00 pm Bookmans Entertainment Exchange Flagstaff, 1520 S Riordan Ranch St.
Bookmans Flag is celebrating Independent Bookstore Day with a full day of free events, prizes, celebrations and more. Get an inside look at your fave book store with our VIB (Very Important Book Lover) event, enter to win a Bookmans Prize Pack, Meet local authors like Austin Aslan and Annette McGiveney, explore and learn with Tynkertopia and so much more. Plus exclusive Independent Bookstore Day merch and a day-long book drive benefiting The Literacy Center! Celebrate over 40 years of local independent bookish business with Bookmans Flag. Enjoy an exclusive tour of Bookmans Flagstaff. Coffee and pastries provided by the Bookmans Cafe. Plus Bookmans is extending our employee discount to VIB members! Get 25% off LPs and 50% off cash purchases on used items. Space is limited so make sure you sign up here. Bookmans Flag will be collecting trade credit and book donations for The Literacy Center. Drop off your gently used k-12 fiction and nonfiction books at Bookmans Flag anytime during Independent Book Store Day. Enter to win a Bookmans Prize Pack- 9:00 AM to Close. Enter to win a Bookmans Prize Pack including books movies and a $50 Bookmans gift card. Mini-lecture on the form of the 10-minute play, followed by a dramatic reading of one of our past winning plays, and then a writing prompt and discussion. Create your very own bookmarks at a special Studio Nights event. Materials will be provided by Bookmans and Creative Spirits. Austin Aslan’s debut novel, The Islands at the End of the World, was named a Best Book of 2014 by Kirkus Reviews. It was ranked by The Guardian as a top-ten climate fiction read, and is listed by BookRiot as a top 100 must-read book in the category of young adult science fiction. His latest novel from HarperCollins, TURBO Racers: Trailblazer, hit bookstores in January 2019. He’s currently co-authoring several actions and environmentally-themed middle-grade novels for HarperCollins with television host and producer Philippe Cousteau. A solo Arizona Trail thru-hiker, Austin was recently elected to the Flagstaff City Council where he’s serving a four-year term. Real life is often stranger than fiction. But how to do you turn a set of facts or personal experience into an engaging story? In this workshop, Annette McGivney will share wisdom and skills she has gained during three decades working as a journalist writing narrative magazines articles and books. Genres touched on will include memoir, outdoor adventure, and true crime. Participants will learn techniques for conducting in-depth research, journalistic interviews and transforming factual material into writing that reads like a novel with narrative descriptions, character development, and an engaging story structure. Not in Flagstaff? Check out what your local Bookmans is doing for IBD at bookmans.com/events. Independent Bookstore Day Festival Bookmans Entertainment Exchange East 6230 E. Speedway Blvd. 27apr9:00 am10:00 amIndependent Bookstore Day Festival9:00 am - 10:00 am Bookmans Entertainment Exchange East, 6230 E. Speedway Blvd. For 40+ years, Bookmans has been a proud Independent Bookstore. So this Saturday, April 27th we are celebrating National Independent Bookstore Day with a store-wide sale and an entire day filled with events, special merchandise, and prizes! IBD is a one-day national party that takes place at indie bookstores across the United States on the last Saturday of April. Keep an eye out on our social media for updates on the upcoming sale and more! Want to get an inside view of your favorite indie bookstore? 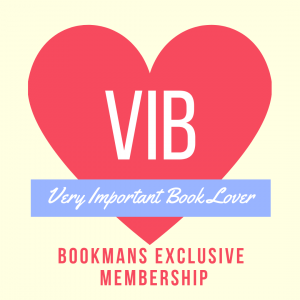 Become a VIB (Very Important Book Lover) today! Enter today and we will choose a group of 15 lucky individuals to become an official Bookmans employee for the event. The lucky winners get early access to official IBD merchandise, a Bookmans VIB badge and lanyard, a special behind the scenes tour of Bookmans, and coffee and donuts on us! If you would like to enter to be a part of the VIB Tour event, fill out this questionnaire however, space is limited. We will contact you via e-mail if you are chosen! Do you think you have what it takes to be a Bookmans Employee? After the tour, VIB members will play a game of Are You Smarter Than A Book Lover! How fast can you stock a bookshelf? Can you find a book in under three minutes? Compete and we will be awarding the first, second, and third place winners prizes. We have ordered rare and exclusive merchandise including signed copies of Miriam Toews Women Talking, Kelly Barnhill’s The Girl Who Drank the Moon, Chelsea Cain’s Man-Eaters Volume 1, and so much more. We are also hosting a Youth Book Fest local author fair for Children’s and Young Adult authors at noon that day. Due to space restrictions, we will require a reservation to hold your space in class starting in April! Please send an e-mail to phoenixevents@bookmans.com with the subject line “JAM” to reserve your spot! Super Smash Bros. Saturday Bookmans Entertainment Exchange East 6230 E. Speedway Blvd. 27apr12:00 pm2:00 pmSuper Smash Bros. Saturday12:00 pm - 2:00 pm Bookmans Entertainment Exchange East, 6230 E. Speedway Blvd. Bookmans East has gotten it’s game on! Our video game tournaments are gathering steam and popularity. Play as your favorite Nintendo characters as you battle against your friends! We have grown so much that we are adding a 2nd monitor and system for side by side play. Join us on the 4th Saturday of each month from 12:00 p.m. to 2:00 p.m. for a smashing time. Currently we are using the Nintendo Switch! Our video game group is a Democratic operation and suggestions are welcome. Players may bring their own controllers to use as long as they are system compatible. This action packed event is for all ages/capabilities and registration is not required! Youth Book Fest Bookmans Entertainment Exchange East 6230 E. Speedway Blvd. 27apr12:00 pm3:00 pmYouth Book Fest12:00 pm - 3:00 pm Bookmans Entertainment Exchange East, 6230 E. Speedway Blvd. Bookmans Poets Society Social Bookmans Entertainment Exchange Midtown 3330 E. Speedway Blvd. 27apr12:00 pm3:00 pmBookmans Poets Society Social12:00 pm - 3:00 pm Bookmans Entertainment Exchange Midtown, 3330 E. Speedway Blvd. Love poetry? You’re in luck! April is National Poetry Month and we are celebrating by showcasing local Arizonan poets for our first ever Bookmans Poets Society Social. We are inviting poets and short form authors from all around Southern Arizona. Join Bookmans Midtown on April 27th during our Independent Book Store Day Bonanza from 12 PM to 3 PM to meet and mingle with these amazing writers. If you are a poet or short form author that is interested in being showcased at this event please email midtownevents@bookmans.com to reserve your table while space lasts. Featuring keynote poet, Kenneth Randle Landers. Landers will be reading from his book The Arizona Son and his recent release Black Honey (out April 12th). He will also have copies of The Arizona Son available for signing and purchase during the event. 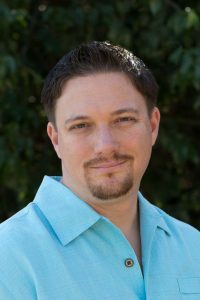 he currently teaches different writing courses at Pima Community College and likes living in Tucson, AZ. sports. Having played different sports in the past, he now mostly enjoys lifting, swimming, and running. Ambient Salon Showcase: Circuitous Vibes Bookmans Entertainment Exchange Midtown 3330 E. Speedway Blvd. 27apr1:00 pm2:30 pmAmbient Salon Showcase: Circuitous Vibes1:00 pm - 2:30 pm Bookmans Entertainment Exchange Midtown, 3330 E. Speedway Blvd. 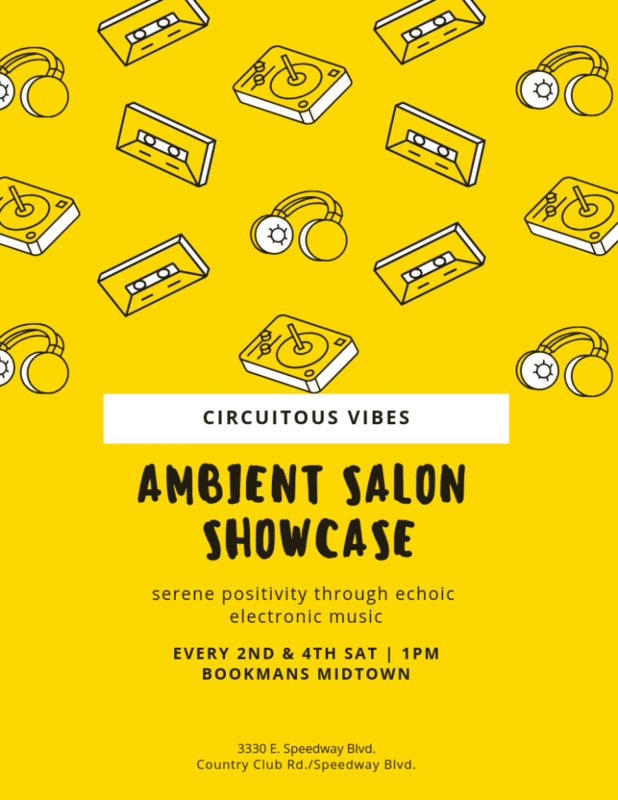 Join us every 2nd and 4th Saturday at Bookmans Midtown to listen to ambient, chill out DJ Circuitous Vibes as he performs improvised long-form compositions of slowly evolving ambient sounds in our nonfiction section. This style of music is perfect if you’re looking for some ethereal background music while you shop and hang out.